In the future, 140 million miles from Earth, a robotically enabled spacecraft propels toward Mars. When it arrives, robotic arms autonomously spring to life, and the spacecraft assembles itself into a habitat ready to welcome human visitors. While this might sound like a sci-fi movie, the reality is closer than you might think. Maxar envisions a future in space where robotics plays a key role in all major undertakings. For example, as humanity returns to the Moon and begins its journey to colonize Mars, on-orbit robotics will build the required infrastructure to sustain life. 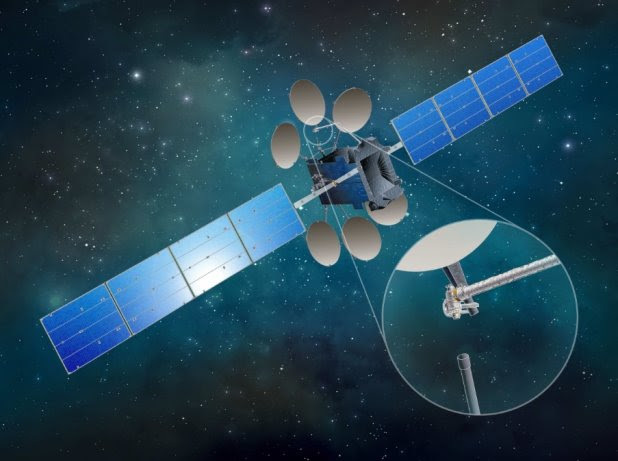 Future on-orbit robotics will also lend a hand to commercial and government satellite operators through tasks like assembling components on orbit and even refueling spacecraft. The future is happening now. Maxar has evolved the technologies for robotic on-orbit operations for more than three decades. The company has participated in hundreds of successful robotic space missions, including those on the Space Shuttles, the International Space Station and every Mars Rover and Lander. Our robotic arms have been used to assemble the International Space Station while on orbit and are routinely used to service the Station, capture and dock unpiloted spacecraft and even move astronauts during extra-vehicular activities (spacewalks). Restore-L is a servicing vehicle that will operate in low Earth orbit. 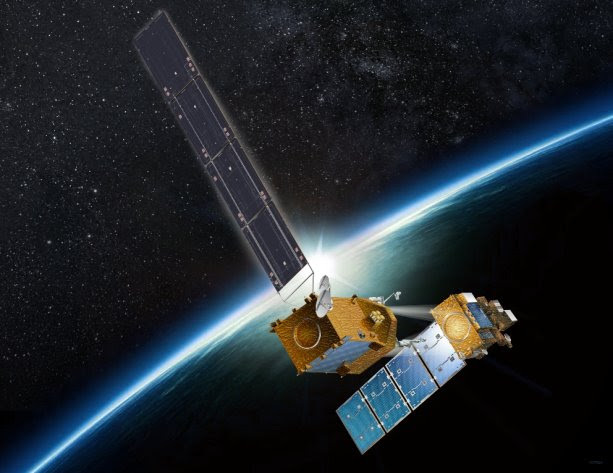 Developed together with NASA, the spacecraft will autonomously navigate and capture the Landsat 7 spacecraft, tow it to a new orbit, inspect it closely and then transfer propellant to it. In the course of this mission, the Restore-L servicer will confirm that reliable autonomy software can safely guide the servicer to approach, track and capture a tumbling spacecraft. Earth-bound operators will carefully monitor but not control the operation, as no human operator could decode Landsat’s motion and smoothly position the servicer within reach of the robotic arms. After demonstrating that such operations can be performed on a satellite that was not prepared or outfitted in any way for servicing, the foundation for the next generation of spacecraft architectures that intentionally exploit intervention, maintenance and incremental growth will be set. Dragonfly will enable spacecraft to self-assemble components while on orbit. The program, which was first developed as a DARPA seedling and then matured through the NASA Tipping Point Program, successfully completed a ground demonstration in late 2017. Ultra-lightweight and affordable, Dragonfly represents the first ‘commercialized’ robotic system accessible to satellite owners without the risk of infrastructure changes. In-space assembly opens a range of new opportunities for space architectures and operations. Large structures such as in-space telescopes, platforms and apertures are no longer confined by the volume limitations of the rocket fairing and could rely entirely on robotics for initial assembly, recurring maintenance and payload upgrade. Sensitive instruments may be launched in a soft and protective environment, eliminating the need to survive traditional launch vibration environments while attached to the spacecraft, then installed on orbit and refreshed at a cadence appropriate to the mission need. Maxar is enabling NASA’s Restore-L program with nimble robotic arms that are purposely designed to be adaptable and resilient. The arms have the ability to capture, manipulate and refuel satellites that have not been designed for servicing. We also provided a two-axis robotic gimbal mechanism for NASA’s Raven flight demonstration, which is helping the agency test the ability for a spacecraft to see a client or destination and steer toward it safely in real-time for future servicing and rendezvous missions. In addition to robotic hardware, Maxar recognizes that future missions will need software systems to enable complex decision-making and data collection. For example, NASA’s Mars Rovers are currently controlled through individual commands sent from Earth, resulting in a slow, incremental process that relies on human input. Artificial intelligence, computer vision and other next-generation computer-driven solutions will revolutionize these processes and ultimately enable a greater range of missions that require split second decision-making. The ability to robotically service, assemble, and manipulate assets in space promises to enable entirely new capabilities for commercial and government missions and will become essential to our exploration of the universe. As a leader in on-orbit robotic operations, Maxar is enabling the robust and resilient space systems of the future and turning sci-fi into reality every day. Did you know that Maxar’s long-standing relationship with NASA dates back to the Apollo era? During that time, we built a magnetometer that astronauts placed on the Moon. Read more about our exciting collaborations with the agency here.